Happy adult farmer smiling at camera holding sausages in hands with herd of cows in cowshed on farm. Agriculture industry, farming, people and animal husbandry concept. Manual job and people in farm. 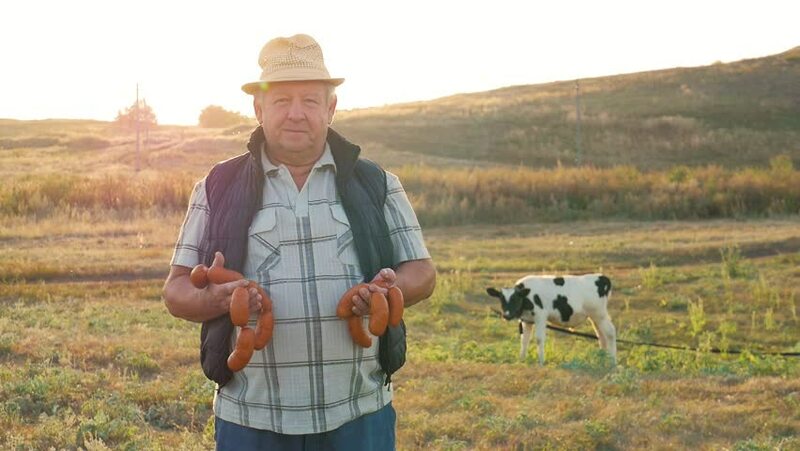 4k00:17Happy adult farmer smiling at camera holding sausages in hands with herd of cows in cowshed on farm. Agriculture industry, farming, people and animal husbandry concept. Manual job and people in farm. 4k00:18Happy adult farmer smiling at camera holding sausages in hands with herd of cows in cowshed on farm. Agriculture industry, farming, people and animal husbandry concept. Manual job and people in farm. 4k00:16Countryside Farmer Stock Breeder Smiling Proud in a Agriculture Businessman Advertising. 4k00:13Farmer Making a Businessman Hello Salute Using Nod and Hand to Hat Gesture.